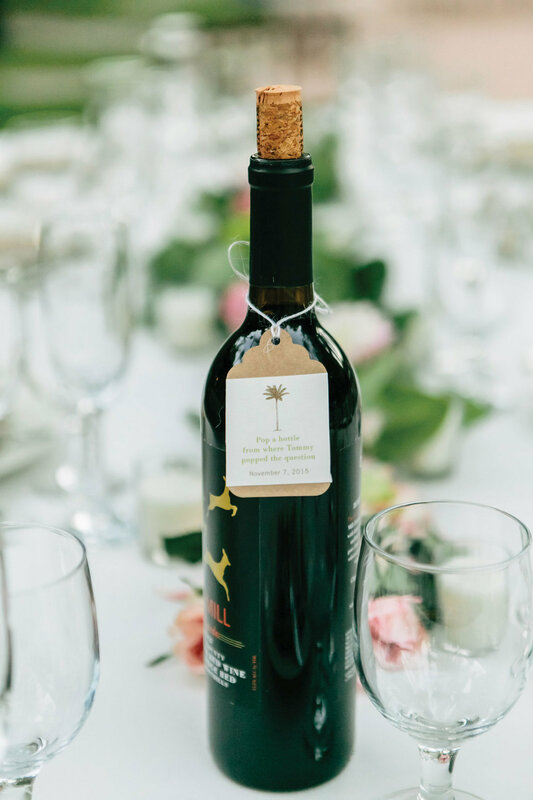 An elegant wedding, as defined by West Coast couples, is never stiff or over the top, says Jen Bergmark. 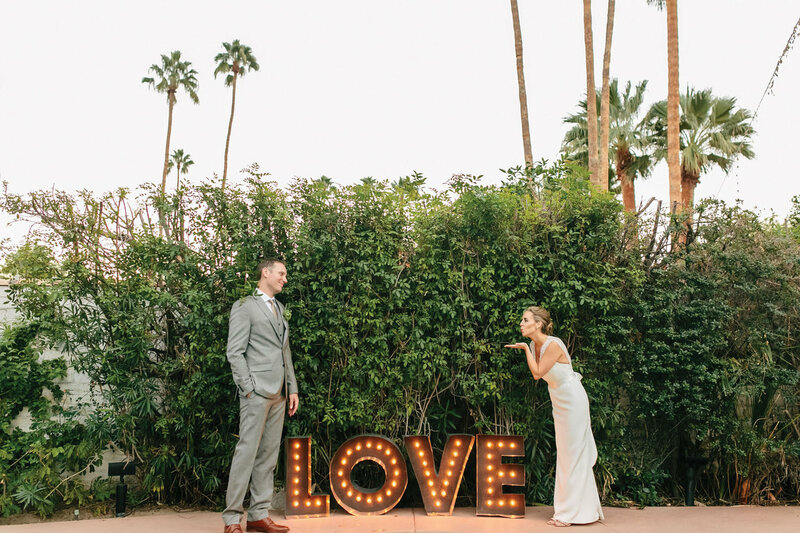 Take the recent Palm Springs wedding that’s shown here. 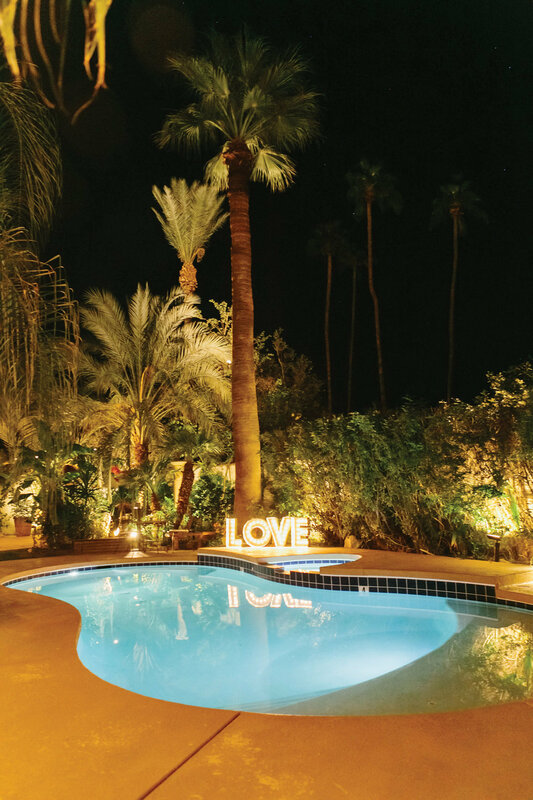 It was chock full of classic glamour that you’d expect from the storied desert getaway: think cigars and signature cocktails like the Palm Springer served poolside. But with the fun getting started just as the sun was setting over the towering palm trees that surrounded the pool area where the reception took place, there was no room for fancy or formal. Guests sipped on champagne punch as the bridal party made its way down the aisle. 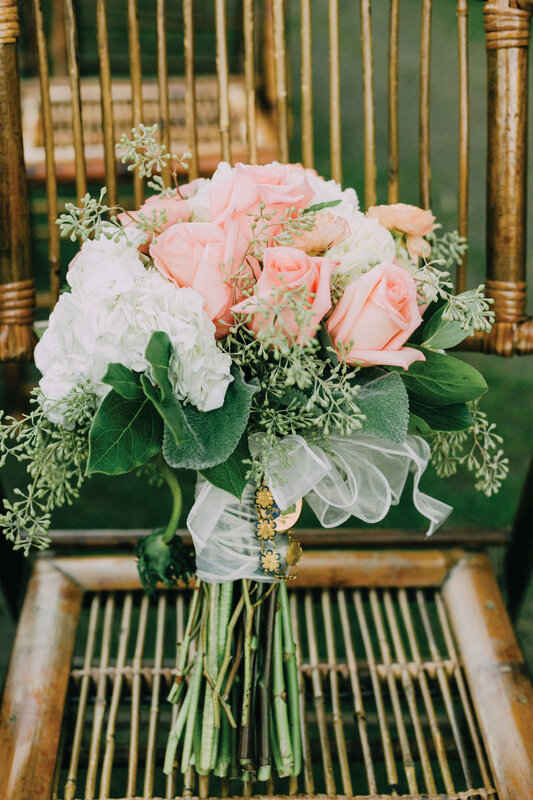 The bride chose a neutral palette that perfectly suited the natural desert pinks and vibrant greenery. 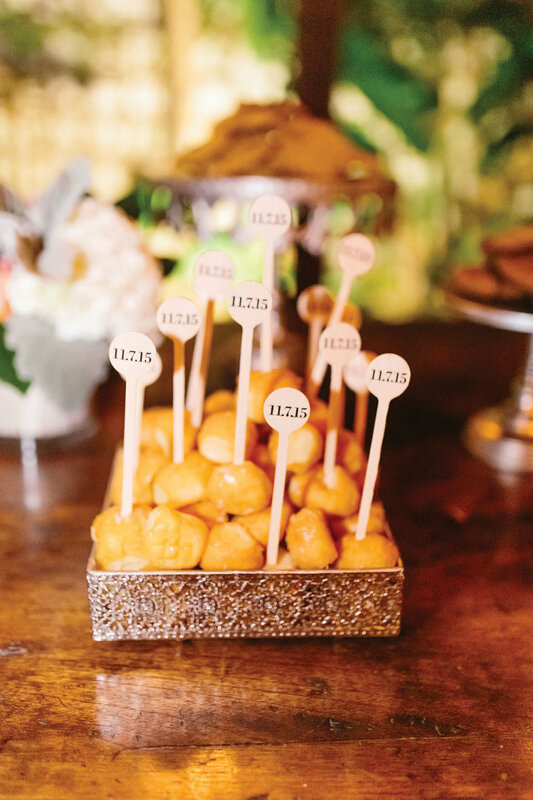 After the first kiss, guests relaxed and mingled over a barbecue buffet. 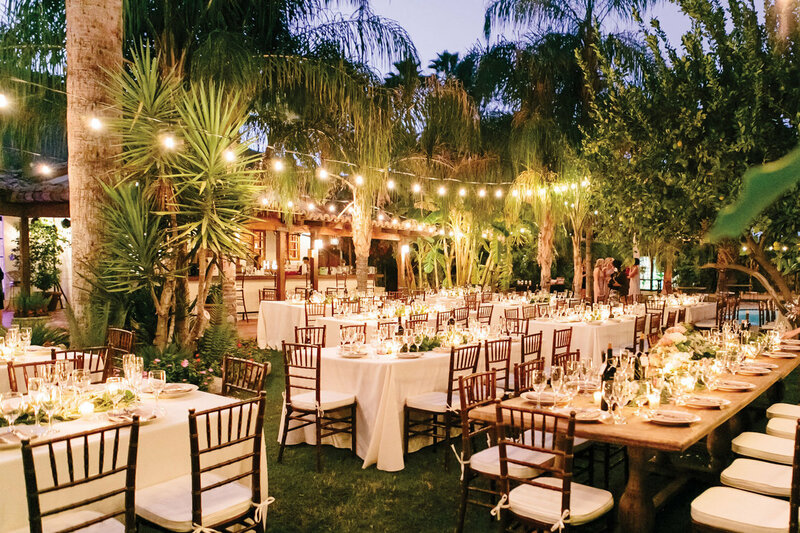 Tables were simply adorned with small votive candles and a garland of greenery and blush roses — local flowers and succulents are particularly popular with eco-conscious West Coasters. Strands of bare Edison bulbs cast a soft glow throughout. “The Restoration Hardware look, with rustic wood tables, exposed brick and string lights, is very popular here,” Bergmark notes. 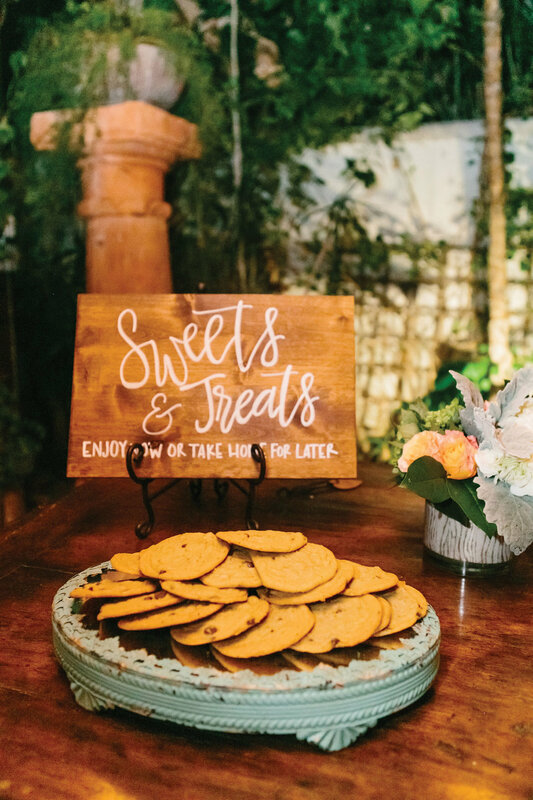 “And chair covers are almost unheard of.” When it was time for a break from the dancing, guests refueled with an assortment of warm cookies and doughnut holes. Like this couple, Bergmark says that almost every couple who comes her way wants to take full advantage of the West Coast’s best assets — the picturesque landscape and near-perfect weather. “That’s the one constant among couples in the West,” she says. “No matter the style or size of their wedding, they want to showcase the setting.